Newcastle Knights coach Wayne Bennett addressed the media at Newcastle training on Tuesday morning, and his comments - coming as the coach of one of six NRL clubs that have been referred to in an Australian Crime Commission report released last week - sum up how many are feeling about the uncertainty surrounding the ACC's 'findings' that drug use and match fixing has allegedly been ongoing in Australian Sport. It is refreshing to hear someone in a position that could be directly affected by the eventual findings - (though www.wdnicolson.com stresses Bennett is not being and has not been implicated as to have done anything wrong) - say pretty much what everyone is thinking who do not have all the facts in front of them. 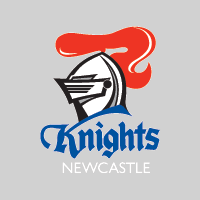 Bennett's club - the Knights - were only informed of their presence in the ACC report very recently... how recently you ask? Watch the presser from Fox Sports below for that answer and plenty more honest assessments from the legendary coach. You can watch the entire 8 minute Press Conference from the Newcastle website here.